The co-founder of what might just be “the best Chinese restaurant in Brooklyn” is setting up shop in the East Village. Ben Pope, former executive chef at 2 Duck Goose in Gowanus, has signed a 15-year lease at 165 Avenue B, per an announcement from broker Eastern Consolidated. 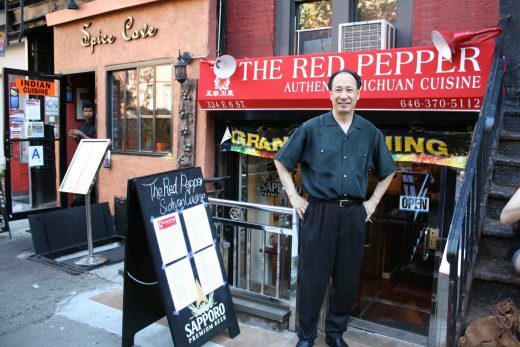 Pope, a former East Villager, plans to open Sum, a restaurant serving “modern and traditional Cantonese cuisine.” The name means “heart” in Cantonese and captures “how he feels about the East Village community that remains close to his heart,” said Joe Robinson, one of the brokers who represented Pope in the deal. The space, between 10th and 11th Streets, includes a 700-square-foot back garden. 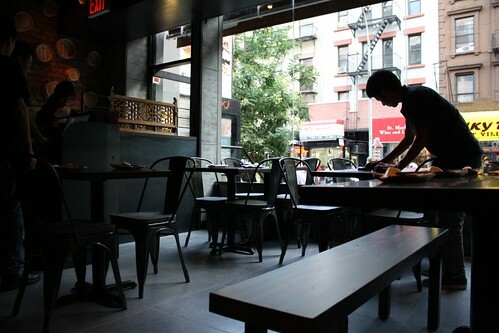 If Chinatown’s new dumpling spot in a deli is a little too homegrown for you, you may feel more at home at The Bao, which opened on St. Marks yesterday. 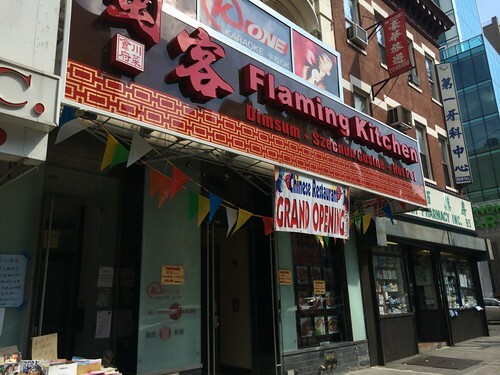 The East Village offshoot of Flushing’s two-year-old Kung Fu Xiao Long Bao specializes — as the name implies – in soup dumplings a la Joe’s Shanghai. The vibe, however, is considerably less dumpy than your average dumpling house. Chinatown just got a couple of new spots — one an ambitious Szechuan and dim sum spot and the other a homegrown lunch counter. When the Cheng sisters went off to college, their Taiwanese mother made batches of the dumplings they’d grown up on, froze them, and shipped them to her daughters in coolers.